There can never be enough shelves. 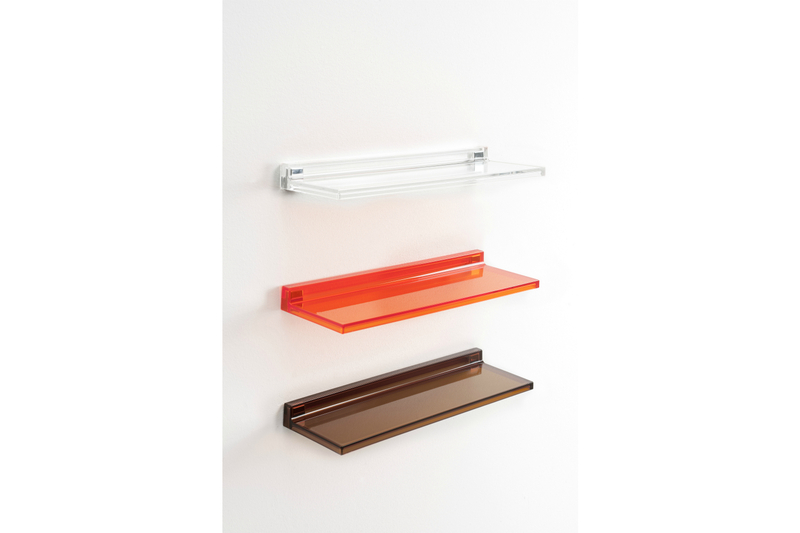 Made of transparent methacrylate, this shelf can be attached to the wall with special plugs and their plastic supports. Because of its simplicity and purity of form it can be replicated infinitely for a mimetic effect ("now I see - now I don't) giving a touch of lightness to its setting.